As Australia’s Self-Worth expert, Debbie has graced the stage with many leading wellness advocates. She understands what motivates, inspires and touches women to their core and how to speak to your female audience in a way that is inspiring, relevant & engaging. 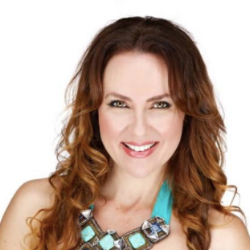 Having spoken to audiences of thousands, Debbie is a passionate speaker in the area of women in business/entrepreneurship, conscious motherhood, purposeful living and re-aligning our lives according to what matters most. As Mind Detox Therapist, NLP Master Practitioner, Master Trainer, Life Coach, Online Business Strategist and Founder of Lifestyle Blog for mothers, Luxe Mumma, she has a relentless dedication towards empowering and equipping women to thrive in wellness, business, motherhood and life. She has been featured on The Today Show and in nationwide publications Marie Claire, Women’s Fitness, Australian Natural Health, Women’s Day, Cosmopolitan and Girlfriend Magazine. Email speaking (at) debbiespellman.com to enquire about your next event.